By defeating the Golden State Warriors on Sunday night, the Houston Rockets kept their season alive. But that’s not all they did. Even if it wasn’t the intention, they also provided the Cleveland Cavaliers with a golden opportunity. 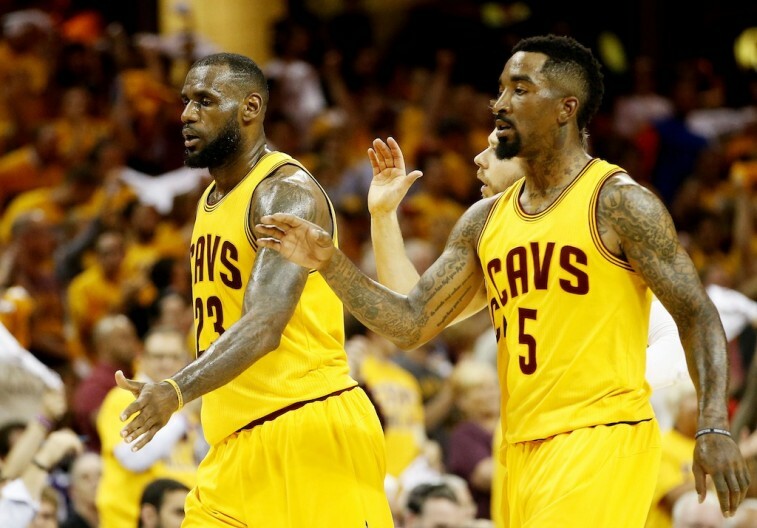 Now it’s up to LeBron James and company to capitalize on it. Entering Tuesday night’s Game 4 of the Eastern Conference finals, it’s no secret that the Cavs are banged up. Following the opening around against the Boston Celtics, Kevin Love’s injury turned the Big Three into a dynamic duo. Now with Kyrie Irving having missed the last two games with tendinitis in his left knee, and currently a game-time decision for Game 4, James has once again found himself shouldering a heavy burden. And that’s taken a serious toll on the King. Given what he’s been forced to do of late, it’s no wonder that James collapsed to his knees after Cleveland’s gutsy 114-111 overtime win in Game 3. ‘Bron had played through countless ailments of his own — leg cramps, a previously rolled ankle, a strained lower back, a sore knee — and even needed an IV after the game. But this is something he’s come to expect from this time of year. Perhaps that’s a fair assessment. By the time the postseason rolls around, players have put their bodies through the ringer. However, that doesn’t mean it couldn’t hurt to get some extra rest every once and a while. And because of Houston’s latest victory, the Cavs can do just that. All they have to do is sweep the Hawks. Taking out the Atlanta Hawks in four games isn’t just something the Cavaliers want to do; it’s something they need to do. With two stars having been out of the lineup, the remaining Cleveland players have been forced to play extended minutes. So far in three games, James as already played 124 minutes. Tristan Thompson is the only member of the Cavs to be on the floor for a longer period of time (126 minutes), but the rest of the Cleveland roster isn’t that far behind. Iman Shumpert has been out there for 112 minutes, Matthew Dellavedova has played 107 minutes, J.R. Smith has played 106, and Timofey Mozgov has chipped in 71 minutes. And Kyrie Irving, well, he’s only been out there for 27 minutes the entire series. That’s not exactly how the Cavs saw things playing out. 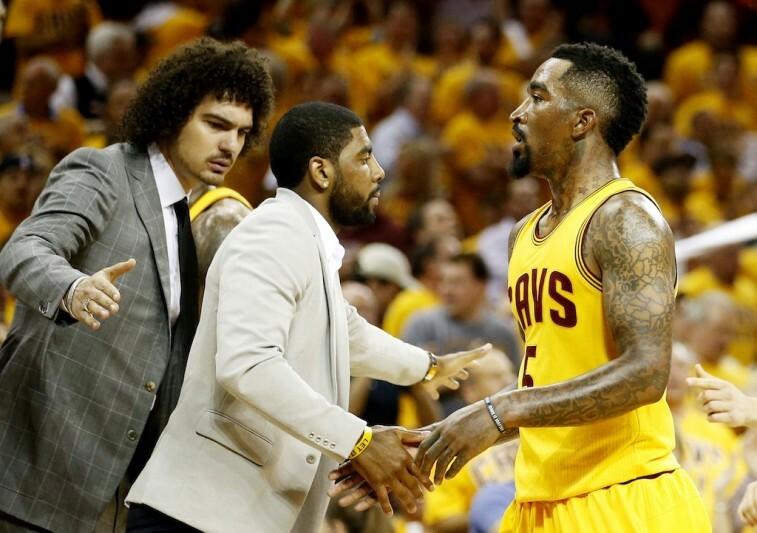 They would love to have Irving in the game — he is that vital to their success — but they can’t rush him back. That wouldn’t do anyone any good. What will help is getting some rest. If the Cavaliers were able to get some extra time on their side, then they may be able to get their star point guard back on the court sooner rather than later. “We need Kyrie on the court, and we’re not really thinking about resting him as much as we’re thinking about him being healthy to play basketball,” Blatt said. “We need him on the court, whether we’re up 1-0 or 2-1 or 3-0. That doesn’t really mean anything because this is the Conference Finals. There’s not a lot of time, and there’s not a lot of room for error. And where they are is one win away from the NBA Finals. If the Cavaliers were to complete the sweep of the Atlanta Hawks, then they would have eight days off before the Finals got underway on June 4. James and the rest of the team could certainly use an extended break. They’d be the only remaining team with that luxury. Had Golden State been able to defeat the Rockets on Monday night, then they too might find themselves in this fortunate position. But that didn’t happen. 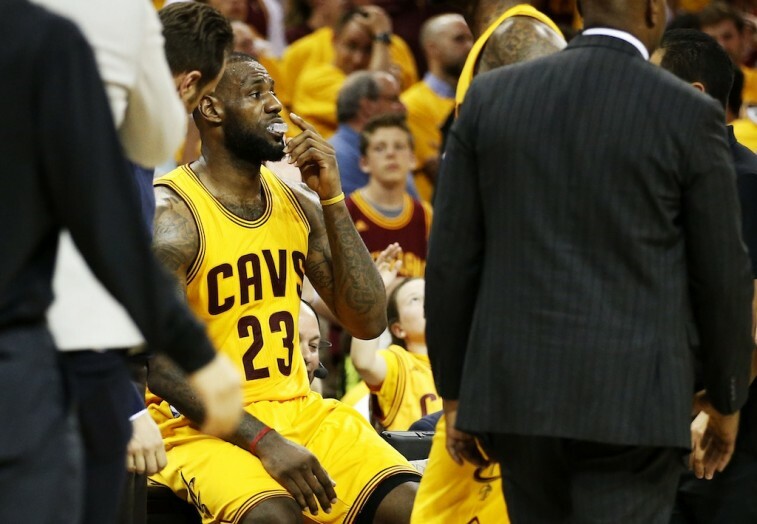 Now the Cavs have a chance to gain a fairly important advantage; one they desperately need. All they have to do is bring out the brooms and sweep.